It struck a chord with me because I had a related, if parallel, set of thoughts after watching the entire run of the original series. 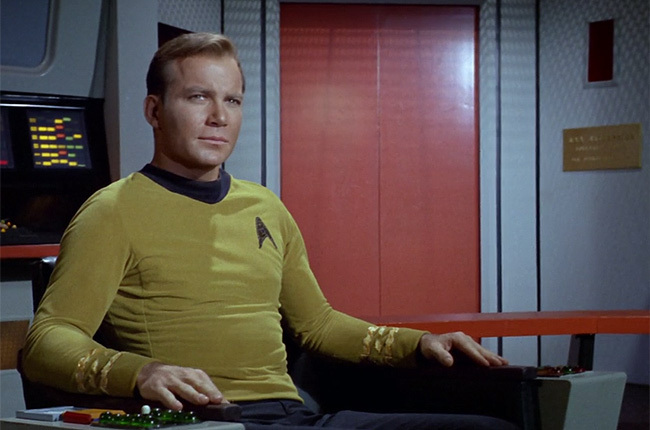 The popular culture cliche is that William Shatner is/was a somewhat crude and mediocre actor with a peculiar sense of ... timing ... in the delivery of his dialogue, and I went into the re-watch to some extent pre-conditioned by this notion. Regardless of the quality of the individual episodes, though, I quickly found myself wondering when this legendary bad Shatner was going to turn up, because all I was seeing - right from the outset - was an efficient and convincing portrayal of a man in a complex, demanding position of authority. Shatner isn't just much better at playing Kirk than the popular myth would have it, but the character itself is also much more plausibly drawn than the supposed brash womaniser of the insidious meme. 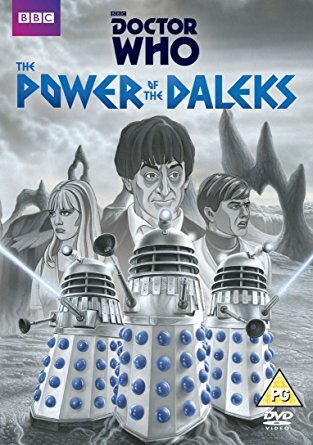 I'm only four episodes into this six parter, one of the stories thought lost to time, but which has now been restored with animated visuals and the original soundtrack. Although the visual reconstruction is cheap and cheerful, it's still remarkably effective at taking you into the story, and while I wouldn't say you ever forget you're watching an animation, it certainly doesn't impede one's enjoyment of this compelling, intelligent and surprisingly adult adventure. I have no recollection of the Troughton years, and would only have been less than a year old at the time of this transmission, his first story after regeneration. Unfortunately the Troughton era suffered particularly badly from deleted tapes, and I've still not seen enough of his stories to have a clear sense of his personality as the Doctor. In this adventure, the Doctor's persona is even more unstable than usual and Troughton was evidently trying on a variety of tones as he settled into the role. What's striking about the story, especially in regard to some of the later plots, is the low-key realism of the political machinations going on inside the Vulcan colony, with the Doctor arriving just as a brooding power struggle threatens to erupt. The character exchanges are terse and restrained, the atmosphere one of controlled bureaucratic paranoia and veiled threats, more in keeping with Le Carre than something supposedly aimed at children and aired during a cosy tea-time transmission slot. The Daleks are excellent - always at their best when they are at their slyest, as in this story, pretending to be helpful robot servants. And the scenes in the Dalek production line, as raw Dalek organisms are ladled - none too gently - into the open receptacles of new machines - are chilling. I didn't realise that we'd seen the "insides" of a Dalek this early in the series. It's accurate to the original filmed sequences, too, as the animations are based around production stills that were shot during the filming of each episode. Recommended for all fans of Daleks and Doctor Who.